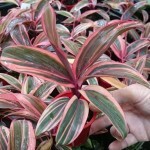 Cordylines – You can buy plants online by simply clicking “Add” under the photos below and then proceed to the checkout when ready. If you have palm plants as part of your landscape, they probably look fantastic in the garden, but they can cut out much of the sunlight. The bonus is, it’s really pleasant underneath them in the hot summer, and Cordylines grow well in these pleasant lower light situations. A garden design which incorporates Cordyline plants adds innovation and individuality to landscaping ideas, improving the feel of the garden or rock garden, even for small garden ideas where there is limited sunlight. The range of colours is simply stunning.